President Bush is expected to announce next week the countries that qualify for U.S. aid under a new government program that provides cash in exchange for reforms, congressional officials and aid groups said on Monday. Ghana is expected to be on the list. The so-called Millennium Challenge Account, proposed by Bush two years ago in Monterrey, Mexico, was set up to funnel aid directly to poor nations that embrace civil rights, root out corruption, open up their markets and adopt other policies favored by Washington. The board that administers the money -- $1 billion in the current fiscal year -- will meet on Thursday, and is expected to approve the list of qualified countries, clearing the way for Bush's announcement next week, the officials said. Seventeen countries are likely to qualify, according to an analysis by the Center for Global Development. The countries are Benin, Cape Verde, Ghana, Lesotho, Madagascar, Mali, Mauritania, Senegal, Armenia, Bhutan, Mongolia, Sri Lanka, Vanuatu, Vietnam, Guyana, Honduras and Nicaragua, according to the center's Steve Radelet, who used the Bush administration's own data and eligibility requirements to come up with the list. Radelet said flaws in data collections and other factors could result in some changes in the countries that qualify. 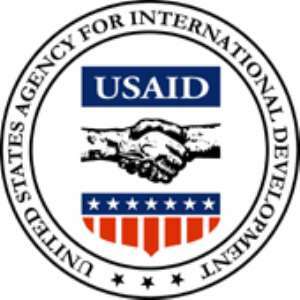 Under the program, 90 percent of this year's $1 billion in aid would go to the countries that qualify. The remaining 10 percent would go to the runners' up to improve their chances of making the cut next year. Bush has asked Congress to provide $2.5 billion for the program in fiscal year 2005, which begins Oct. 1. The number of eligible countries would expand as program resources grow to a total of $5 billion annually. But lawmakers have warned that U.S. aid to poor countries is at risk as Congress looks for ways to keep election-year spending under control. To win a share of the new resources, countries are ranked based on 16 "performance indicators," from civil rights to spending on public health and education. A country's "economic freedom" would be judged on its credit rating, inflation, budget deficits, openness to trade and quality of regulatory policies. Bush drew the line at corruption. "Corruption is pass-fail," an official said.